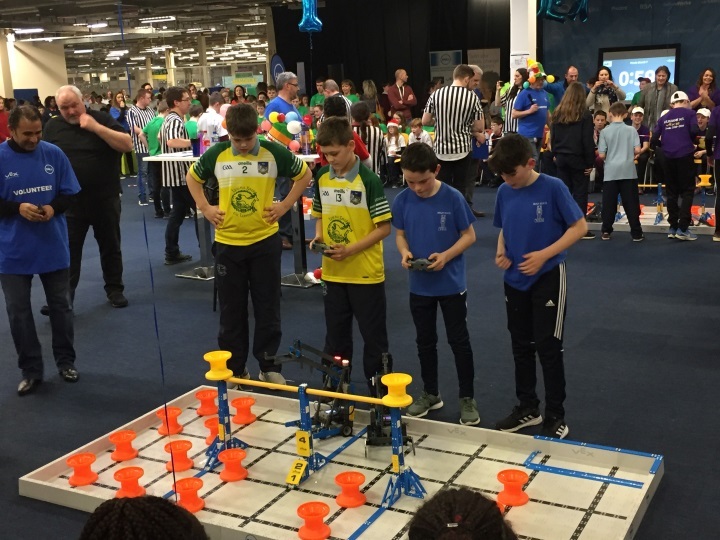 On Tuesday the 5th February our fifth class pupils took part in the Dell-EMC VEX Robotics IQ Competition 2019. 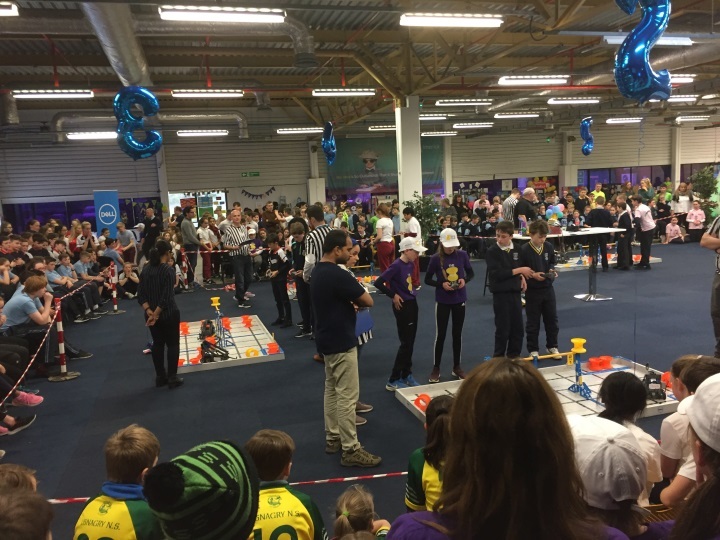 Over 25 teams from various schools took part in this event. 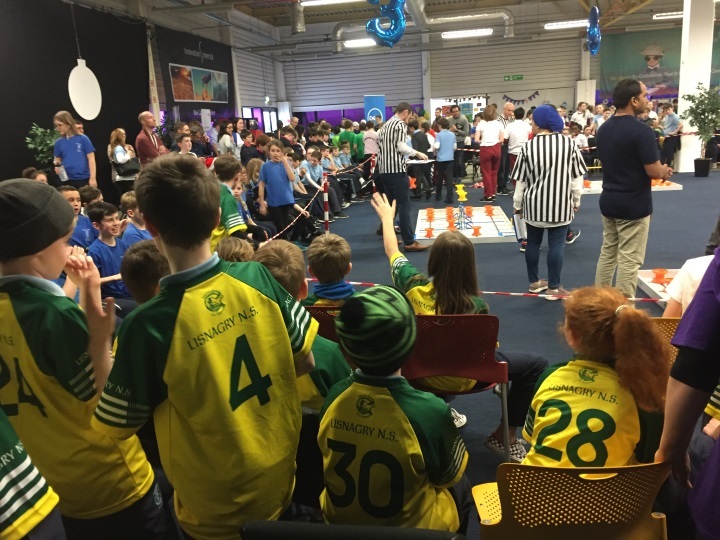 It was Lisnagry National Schools first time to engage with this project and to compete at this event. 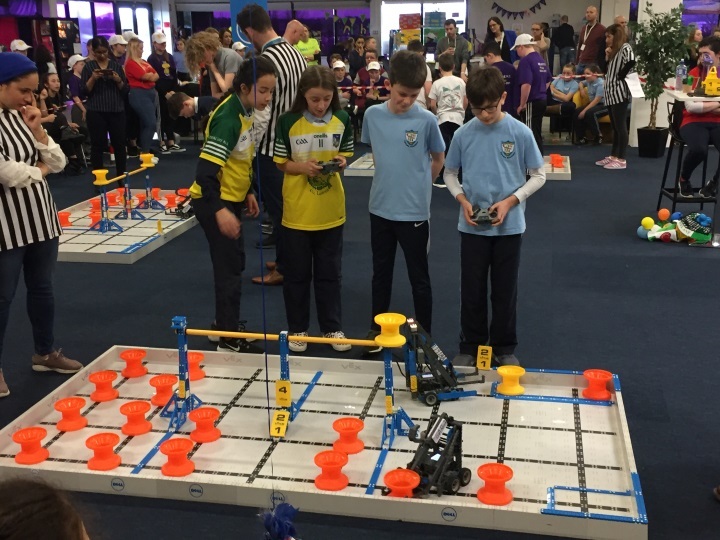 They have been working hard on designing, building and programming a robot since November under the gentle guidance of their teacher Mr. Flannelly who is leading the project at our school. 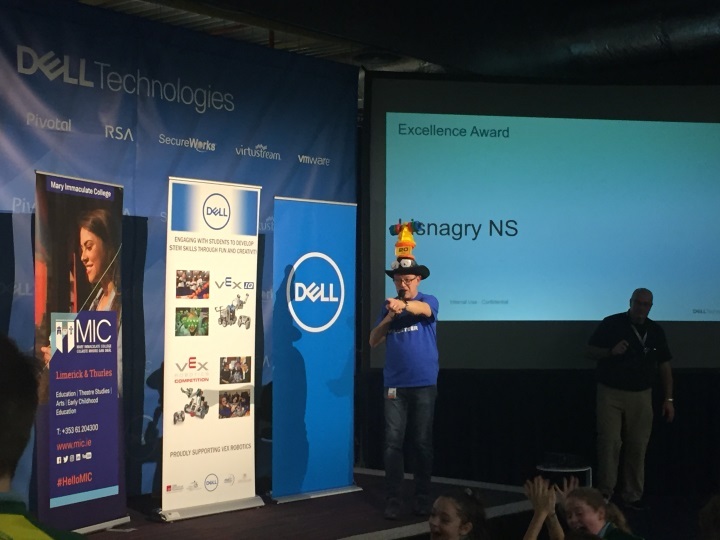 We also wish to thank one of our parents Noemi who works with Dell for sharing her knowledge and expertise with the children as a mentor. 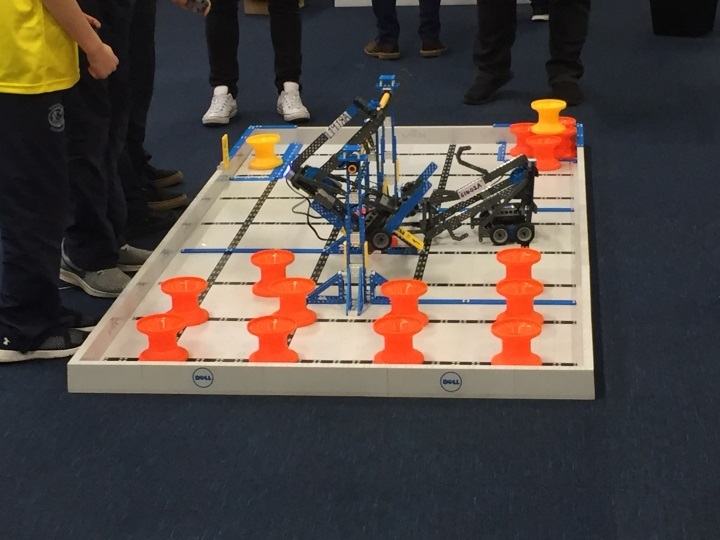 In addition to STEM this project has helped students acquire and develop other skills for the future, in the areas of project management, teamwork, leadership, collaborative and creative problem solving, public relations and presentation skills. It has been proven that when students learn through hands on exploration, it increases motivation and desire to succeed. 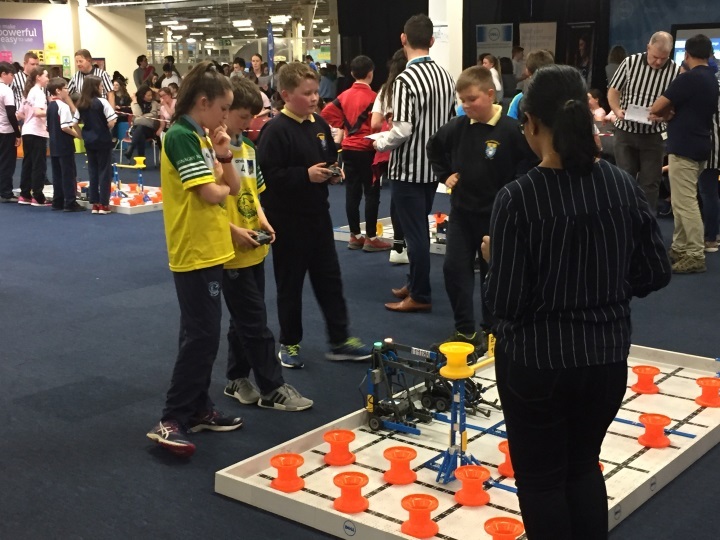 There were many tasks to be completed throughout the competition day e.g. 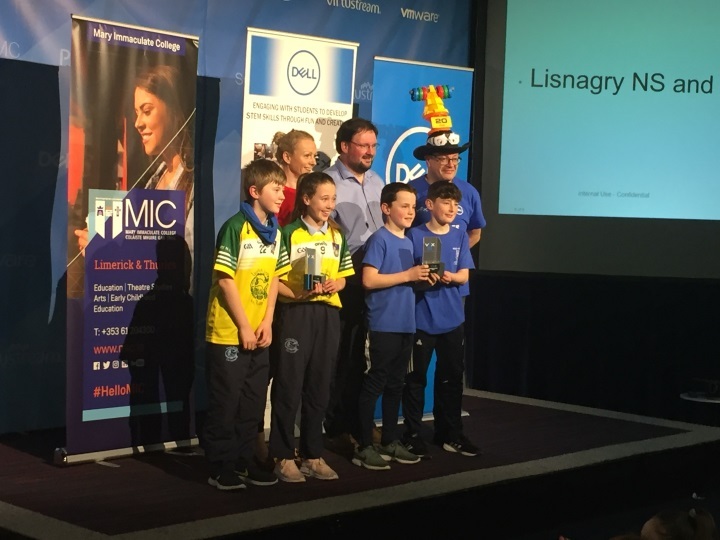 a presentation to the judges on their STEM project which was on the use of maths to solve a real life problem. 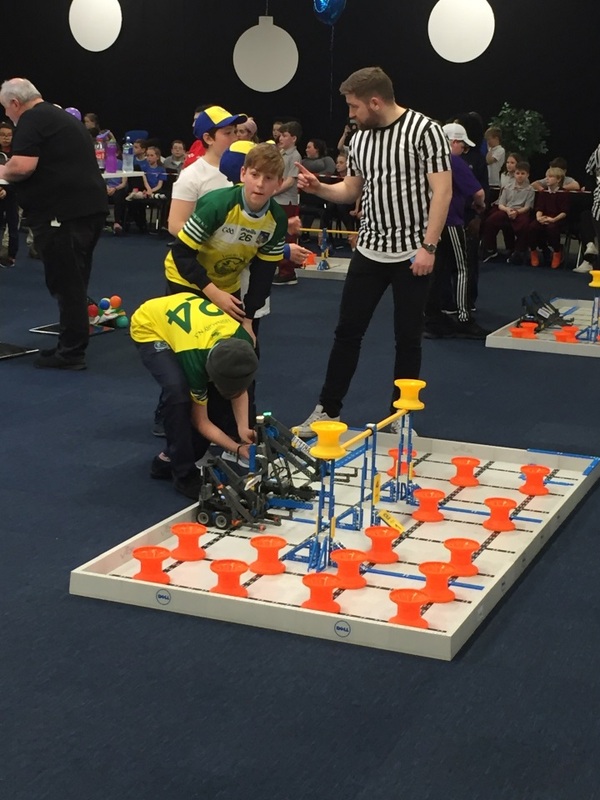 They also competed against other schools’ robots in various competitions. 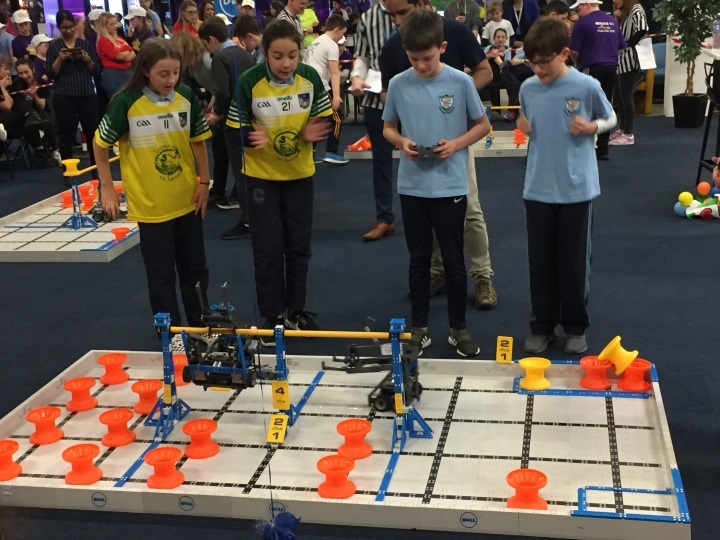 Just before 3pm, the children were simply ecstatic to learn they had been selected to go forward to the Finals of the Vex Robotics competition in Cork. 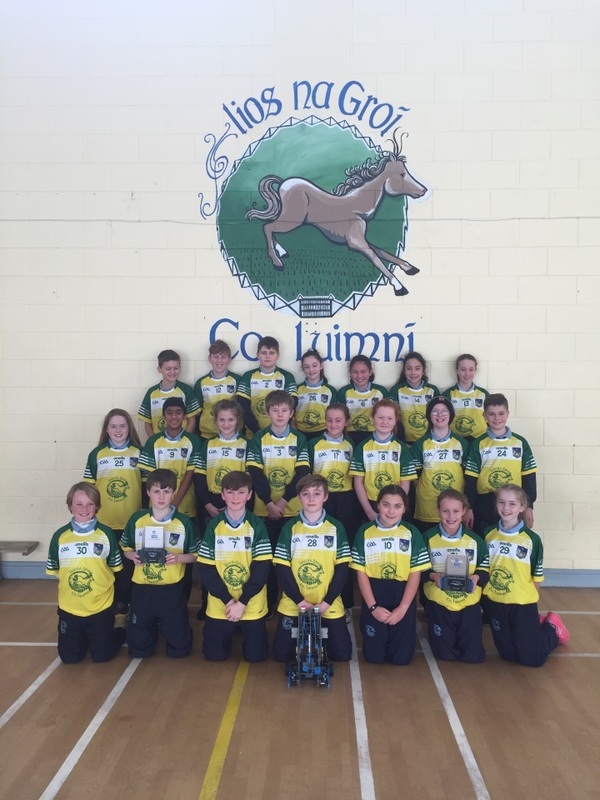 They also received two prestigious awards on the day, the Teamwork Champion Award and the overall Excellence Award . 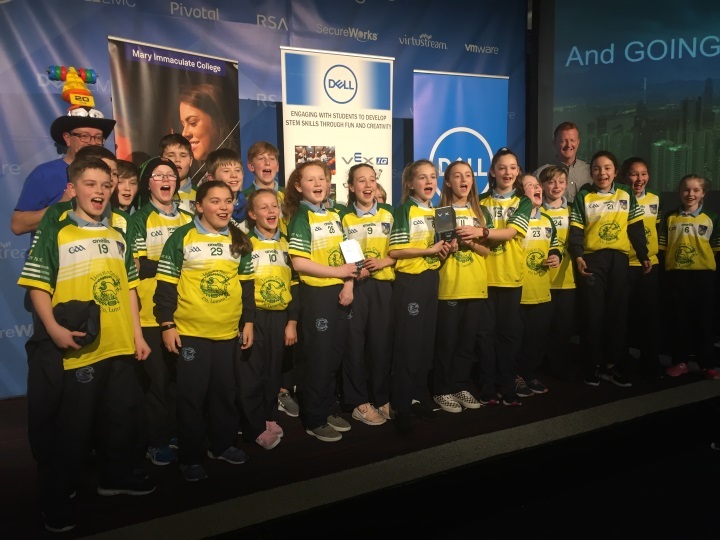 It is has been a great experience for our pupils so far to showcase all they have learnt over the last few months and we look forward to another opportunity to do this in the finals next week in Cork. Well done to everyone involved.We are extremely proud Watch this space for further updates, the exciting is mounting!